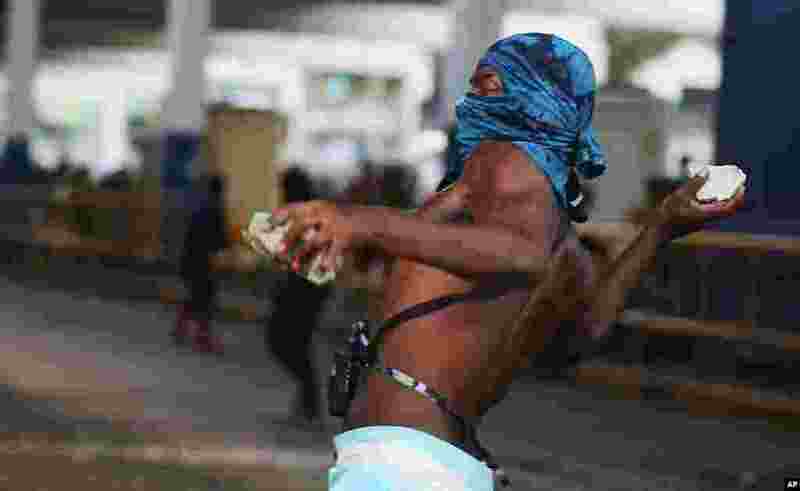 1 A demonstrator throws rocks at police outside the central train station, during protest against the increase on bus fares in Rio de Janeiro, Feb. 6, 2014. 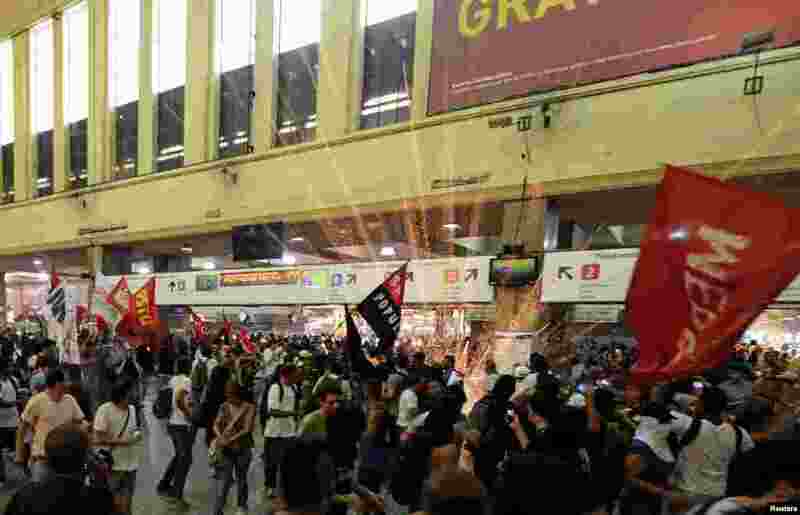 2 A firework explodes as members of the "Free Pass" movement invade the Central Train Station to demand zero tariffs in the Brazilian public transport system in Rio de Janeiro, Feb. 6, 2014. 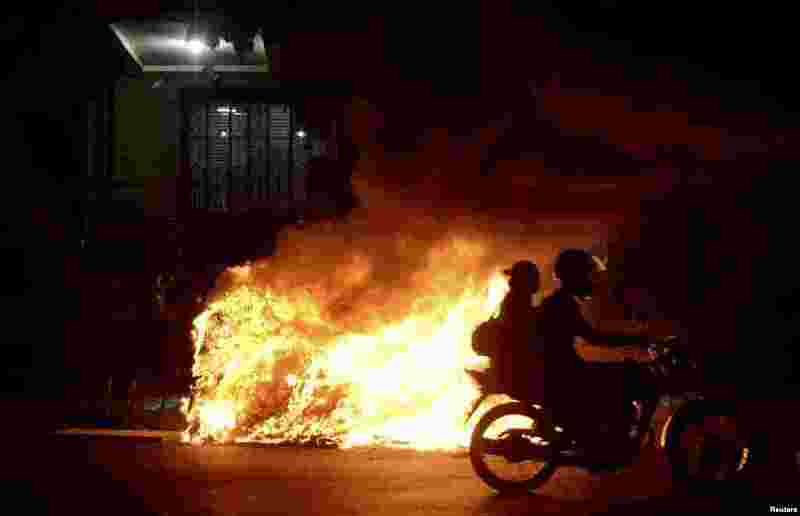 3 A motorcycles passes a bonfire during a protest by members of the "Free Pass" movement to demand zero tariffs in the Brazilian public transport system in Rio de Janeiro, Feb. 6, 2014. 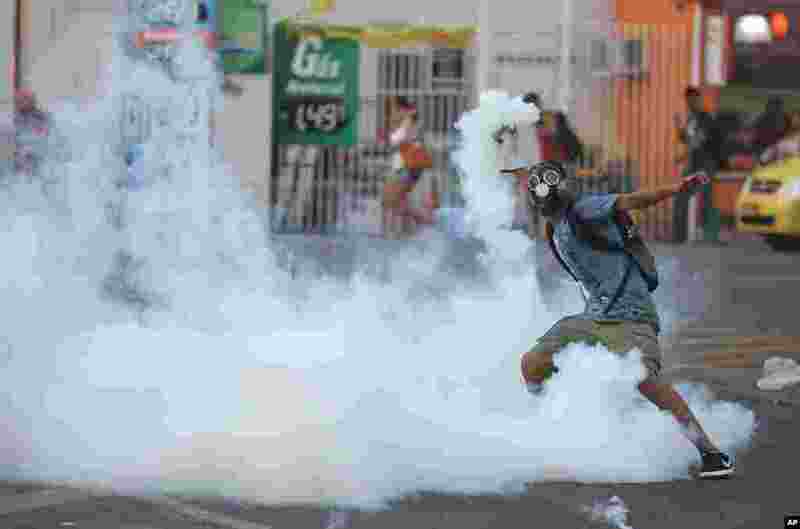 4 A demonstrator get ready to throw a tear gas grenade back to the police, outside the central train station, during protest against the increase on bus fares in Rio de Janeiro, Feb. 6, 2014.